I've briefly mentioned before that I do not provide kids with patterns when making crafts. There is a time and a place for patterns... sewing, for example, where the fit of a garment matters. Patterns are great when you want every project to turn out exactly the same, but that isn't what I want when teaching crafts to kids. Half of the fun is seeing how each person's turns out. Back in my teaching days, my class of 5th graders would produce 32 different projects that reflected their unique personalities. Walk into a classroom where the kids used a pattern on a project and you'll know it immediately. But surely that only applies to older kids, like 5th graders, right? Absolutely not. I introduced Trevor to scissors at age 2 (safety scissors, of course) and helped him learn how to cut basic shapes. Now that he is 5, his motor skills have improved and he is more competent with the scissors. When we do a craft, I show him what the general shape should be, demonstrate how I cut mine, then give him the freedom to create. Sometimes he is frustrated with his motor skills and feels like he didn't cut it the way he wanted it to look; in that case, I provide him with more paper to try again. 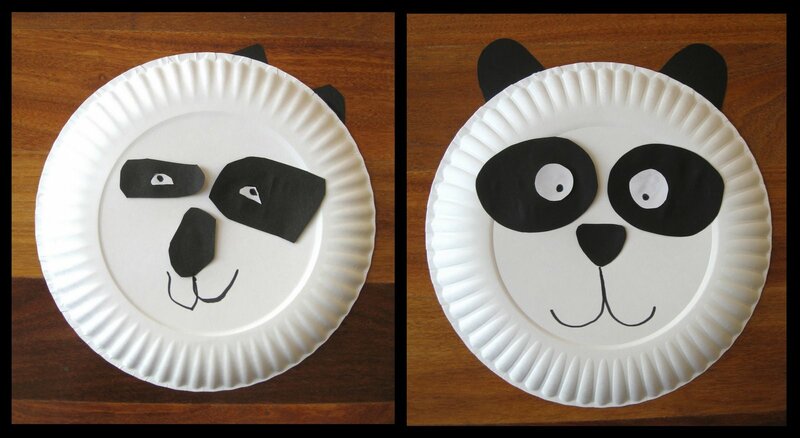 Here are the pandas that we made in May. Trevor's (age 4) is on the left. Mine is on the right. Notice how different they are. If I'd provided Trevor with templates to cut nice round eyes or a triangle nose, he would have never created his awesome panda. I love his. In fact, just about everyone who feels comfortable being honest with me said that Trevor's is cuter. My mom told me that mine looks deranged! Here are some monkeys we made, also in May. Again, Trevor's (age 4) is on the left and mine is on the right. Trevor really liked mine and wanted to trace the pieces so that his could be the same. I told him that he had to make his own first, then he could trace mine if he wanted to make another one. Well, wouldn't you know it... he cut his freehand, loved the results, and chose not to trace mine. 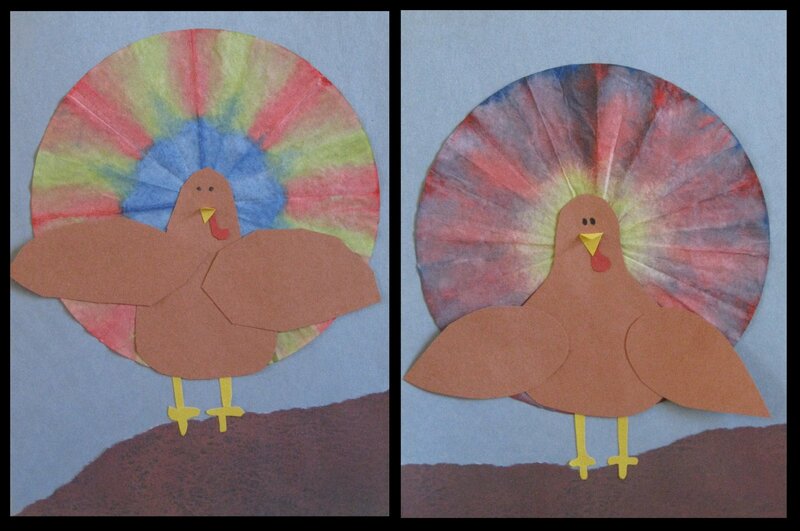 And here are the turkeys that we just made. Trevor's (age 5) is on the left; mine is on the right. 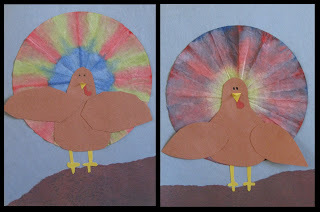 I had Trevor sketch out the basic shapes of the turkey body parts on the back of the construction paper, then make any modifications until he was happy. He then cut around his sketched shapes. It would have been faster to give him a pattern to trace, but speed is definitely not the goal. He's far more proud of his turkey knowing that he did the whole thing 100% on his own. Interesting. I think Trevor's pretty terrific for a 5 year old. Love that you give him free play to exercise his creativity. Need a Gift for a Sports Fan?